Follow the A96 into Elgin keep going straight ahead at the roundabouts until the Town Hall roundabout where you would turn either left or right towards the Town Hall and Lossiemouth. 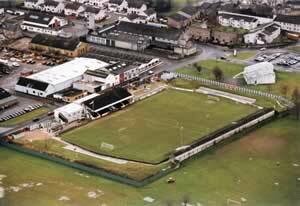 Take the second road on your left before the bridge and directly ahead to your right is Elgin City's ground. The next opening on your left leads into a free car park. From there it's only a short walk to Borough Briggs. If you are a registered user then you can login, and create your own personal review of Elgin City Football Club - Borough Briggs. These reviews can be private or public.